The registrations are closed. Thank you very much to everyone. 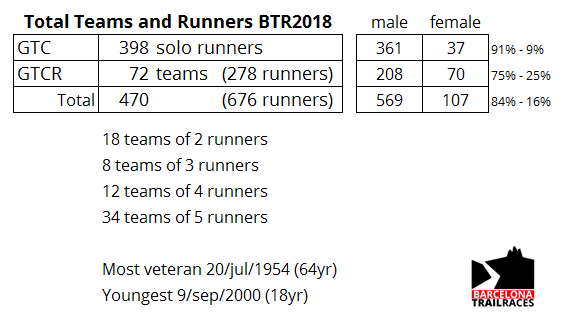 Total 470 bib-numbers, the limit was 500, divided into 398 solo runners and 72 relay teams. 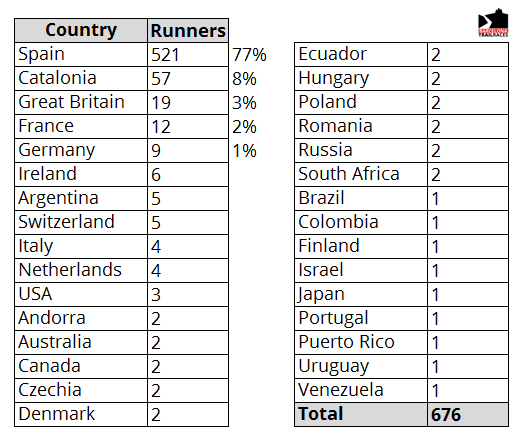 Many people who repeat, many new people, teams with a lot of local color and like every year several runners from other countries who visit us for the race. From the youngest to the most veteran, thank you very much everyone again, see you Friday afternoon at the velodrome to pick up the bib numbers and Saturday at dawn, of course.